Each June, Georgia yard-sale shoppers spend the weekend hunting for bargains along the Dixie Highway Yard Sale. This tag sale/road trip is a must-do summer outing for those who like trinket shopping and hitting the open road. The Dixie Highway Yard Sale spans 90 miles from Marietta to Ringgold, with 13 participating communities in all. And it's held the first weekend of June annually, but can change, so make sure to check the sale's Facebook page before heading out in your car. The Dixie Highway Yard Sale takes you on a historical tour down Georgia's section of this road. Originally planned as a tourist route to lure wealthy motorists from the Midwest to vacation resorts in South Florida, the Dixie Highway is the nation's first full-fledged highway system. Savvy old-school marketers transformed the original highway name—"The Cotton Belt Route"—to a catchier name to promote it to northern snowbirds. Today, shoppers along the Marietta to Ringgold route often take home replicated Dixie Highway road signs as souvenirs of their trip down South. Great bargains ensue along this stretch of Georgia's roadside. Pickers, junkers, and antiquers will all find a treasure to purchase and take home with them. Hit up the 14 mega-sale locations between Acworth and Ringgold where 50 individual yard sales take place within one stop. Here you will find home decor, vintage items, collectibles pins, and military memorabilia. You can also find modern bargains alongside vintage trinkets, such as sunglasses, jewelry, and more. Stop in at the Marietta Museum of History for workshops on how to repurpose retro finds and to gain ideas from Pinterest crafters. To help you navigate your course, look out for yard sale signs leading you to off-highway sales (that can sometimes be the best ones). For food and drink, check out the vendors peppering the route. And when you see one, stop, as the major restaurants will be chock full of hungry tourists grabbing mid-sale snacks. Wear lightweight clothing, lube yourself with a good sunscreen, and make sure your car's air conditioner is in good working order (Georgia in June means super-hot temperatures). And don't forget to research lodging before you head out on your trek. Reserve rooms ahead of time and plan your route to accommodate the mega sales. 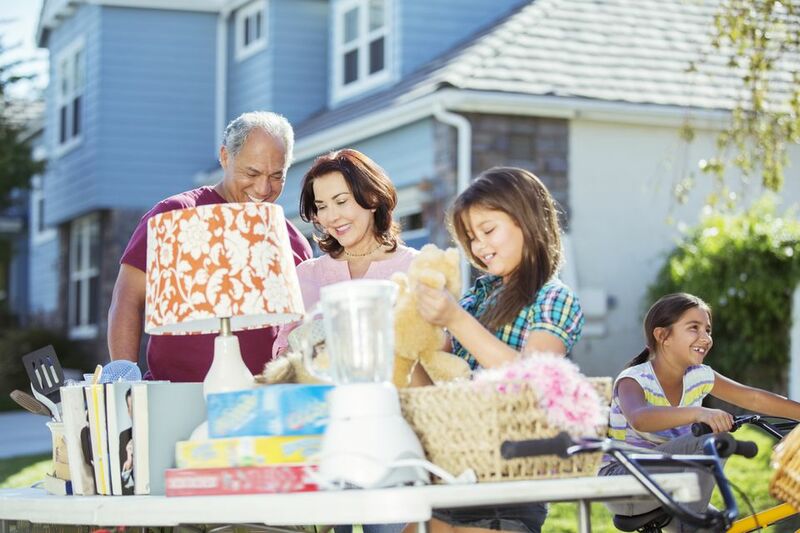 Serious shoppers should brush up on their highway yard sale skills in order to come across as a professional. First, make a list of the items you're looking for so you can go in with laser-like focus. Next, mind your budget and don't be wooed into a frivolous purchase. And lastly, don't be afraid to haggle for lower prices, especially on big-ticket items with hefty price tags. Furniture, vintage gold jewelry, and fine china are items you can negotiate a better price for. That said, hagglers will have the most luck on the last day of the sale, as sellers will be tired and ready to offload any remaining merchandise. Where Are the Best Community and Highway Yard Sales in Illinois?